Andrew Chen IS OFF TO Oxford University. Photo supplied. 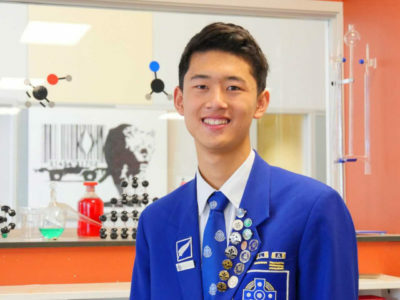 Chen, 2018 graduate and IB Dux, scored the highest possible score of 45 out of 45 points, the first Saint Kentigern student to do so. In addition to Andrew’s achievement, a further five St Kents students achieved 40 points or higher from the maximum of 45, placing them amongst an elite in the diploma programme worldwide.